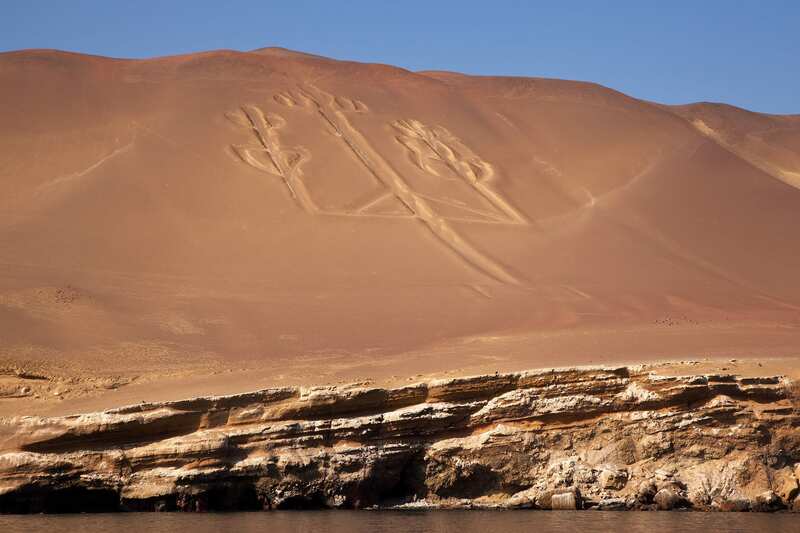 On this day trip to the Nazca Lines tour from Lima you will fly over the giant pre-Columbian geoglyphs etched into desert sands of Peru. Departing from the Pisco airport we use a Caravan Cessna aircraft, which has spacious room for 12 people (each person with a window seat). Our pilot will give each participant a Nazca Lines Map that will help you to recognize the figures from above. Among the animals, we will see the representation of a whale, a monkey, and a dog. Our tour begins early in the morning. Our driver picks you up from your hotel in Lima. Shortly after we head towards the City of Pisco, which is located 3 hours away from Lima. We travel on a private vehicle with a local guide who provides information along the road. 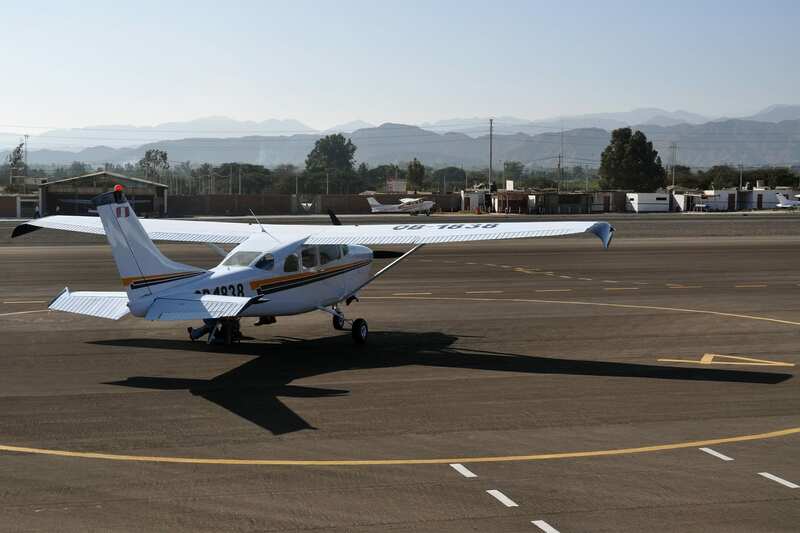 Upon arrival at the Pisco City, we head to the local airport, where you will board a Caravan Cessna aircraft, which has spacious room for 12 people, each person with a window seat. 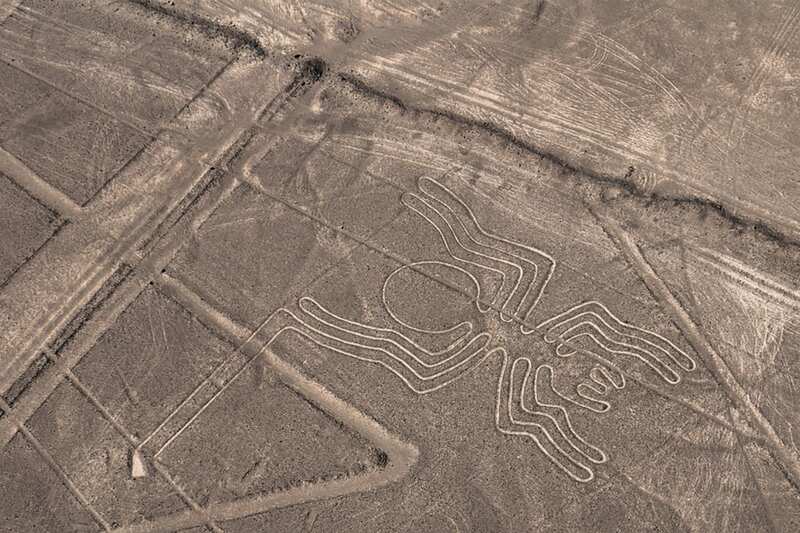 Our pilot will give each participant a Nazca Lines Map that will help you to recognize the figures from above. Among the animals, we will see the representation of a whale, a monkey, and a dog. After the flight, our guide will take you to the Paracas Bay for lunch. We visit the small little beach of El Chaco where we will enjoy a nice meal overlooking the ocean. After lunch, you will have free time to go shopping at the nearby market. Finally, we will drive back to Lima. Upon arrival in Lima, our driver will drop you off at your hotel.